This entry was posted in Faith, Inspirational, Life, Relationships, Uncategorized and tagged Christian Dating, Christian Relationships, Godly Relationships, Relationships, Season of Singleness, Singleness, Struggling Through Singleness, Waiting, Waiting on God. Bookmark the permalink. Hi. I am sort of in the same place you are right now. 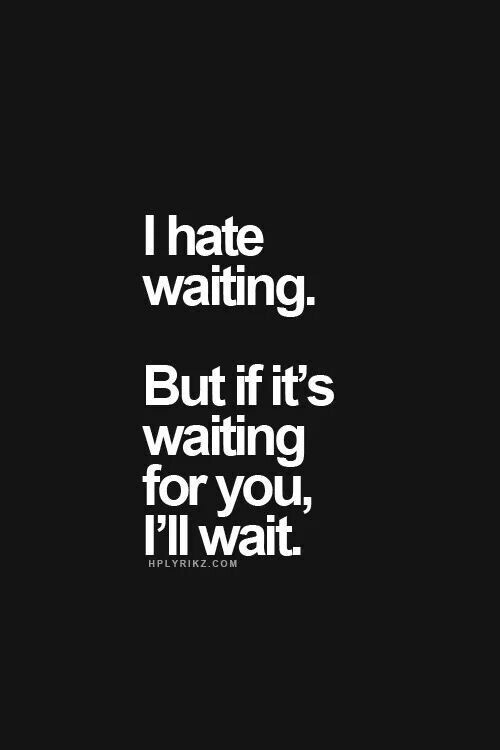 And it isn’t so much because I am getting tired of waiting on God, but it is because of the idea that I know someone who I would really like to be that person. God has shown up and told me things to strengthen me in the waiting process and finding out whether this person is right for me or not, but I still get scared. I feel really stupid about it, but I guess it is part of life. I try to remember God’s promises on a hopeful future. That helps. But it still is a ‘weird’ place to be and I also feel alone because I can’t seem to get over it. I have tried to warn myself to not limit God with my thoughts and not to want to tell God how He should lead my life. As you say, we need to learn to hang in there and wait on God. Whatever He has in store is far greater than what we could ever imagine and that gives great hope. I really hope you find new strength in this ‘season’ and grow even closer to God than you already are. This really spoke to me. I’m going through a lot of the same things right now. God’s timing sometimes doesn’t always make sense, but I’m trying really hard to trust Him in all things. Thanks for the reminder.